Because you are well versed in the controls available through ASP.NET, there's a lot to say about the way Silverlight controls work. 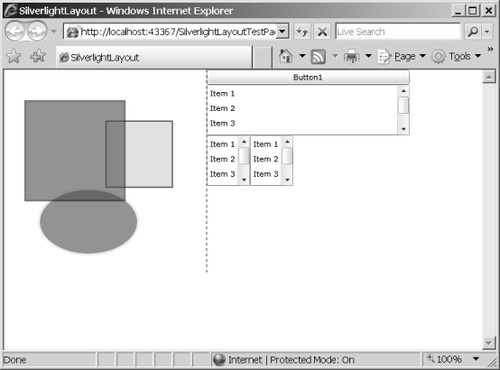 Silverlight includes nearly all the same controls available as ASP.NET server-side controls (Button, ListBox, RadioButton, TextBox, Label, and so forth). Whereas the job of an ASP.NET server-side control is to emit a tag to be interpreted by the browser eventually, Silverlight controls are rendered directly on the client by the Silverlight engine. ASP.NET control events are usually handled on the server by server-side event handlers, while Silverlight control events are handled on the client side within the Silverlight component. Silverlight control events look much like typical .NET events. The event handlers all use an object as the first parameter (always the sender). Following the sender parameter, the handlers include some permutation of the standard event arguments. To manage events Silverlight uses routed events, which are like typical .NET events in that handlers for routed events can be attached directly to the controls that produce them (for example, the Button control exposes a Click event). However, routed events are different because you can attach handlers for events at various places up and down the Silverlight visual tree. That is, you do not need to attach the handlers directly to the controls. This can be useful in various scenarios. For example, imagine you want to trap the left mouse down event for all elements in a layout panel (within a Grid, for instance). Rather than attaching singular event handlers to each element in the panel, you could attach the handler to the layout panel itself and intercept the event there. MainPage (derived from UserControl) is the main presentation area for the Silverlight content. The UserControl is a ContentControl that can contain a single piece of content. Although you could put any control (such as a TextBlock or a Button) on the page, you'd be left with no more room to put anything else. 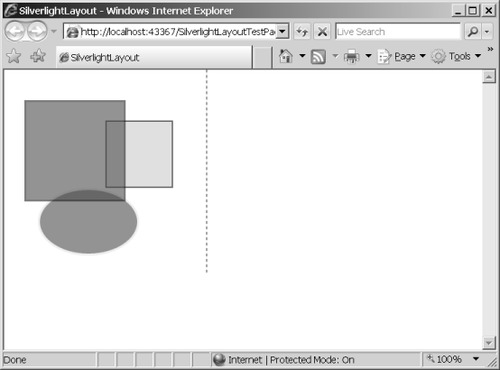 Rather than forcing a singular layout scheme (for example, absolute x and y positioning), Silverlight supports various layout schemes available through layout panels. By using these panels, you can add many controls as well as dictate their positioning in the final user interface. Out of the box, Silverlight supports the Canvas, the Grid, and the StackPanel. When you place a Canvas layout panel inside the MainPage, it positions elements at absolute x and y locations. The Grid positions elements in rows and columns. The StackPanel stacks elements either vertically or horizontally. Here is an exercise to illustrate how Silverlight layout works. 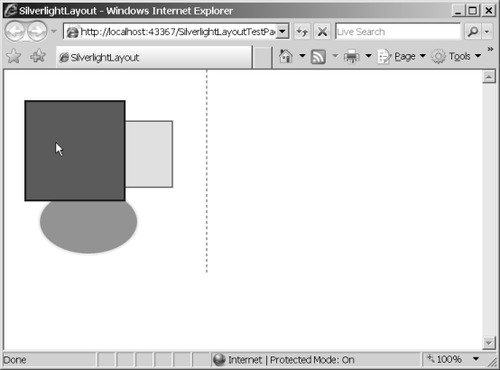 Create a new Silverlight application named SilverlightLayout. Have Visual Studio create an ASP.NET test project for you. Examine the MainPage.xaml file generated by Visual Studio.  Make the UserControl width 600. Add a Canvas to the grid, name the Canvas theCanvas so that you can refer to it programmatically later on. Put it in column 0. Add some content to the Canvas. The following example shows how you can draw a few shapes and locate them within the Canvas using the Canvas.Left and Canvas.Right attached properties. Notice that shapes have Stroke and StrokeThickness that define the color and thickness of each shape's border. There's also a Fill property with which you can define the color used to fill a shape. Finally, set the opacity of each of these shapes to 60 percent. You can use this property to add some mouse interactivity to the shapes. In this case, when the pointer rests on the rectangle that is topmost in the Z-order, the rectangle blocks full view of the other rectangle and ellipse behind it. This example shows that you can nest Silverlight layout panels arbitrarily. In addition to the three panels available as part of the official control set, you can write your own custom panel by deriving from the Panel class.